Read our vision on integrated risk management, how you can implement it, and how Sophiq supports you in the process. Businesses have to be able to deal with unpredictable situations that do not feature in protocols or manuals, even though their hands are tied by formal regulations, protocols, and the allocation of powers. Good management is therefore characterised by a focus on risks and risk management. No matter how difficult the current economic climate is, you cannot passively sit back and wait for things to get better. Now is the very time to stay relevant to the market and to respond to the changing behaviour of your customers. You have to be constantly alert to developments, and make considered judgements and decisions. However, decisions entail costs and have an impact on your business, so you prefer to exclude risks as much as possible. 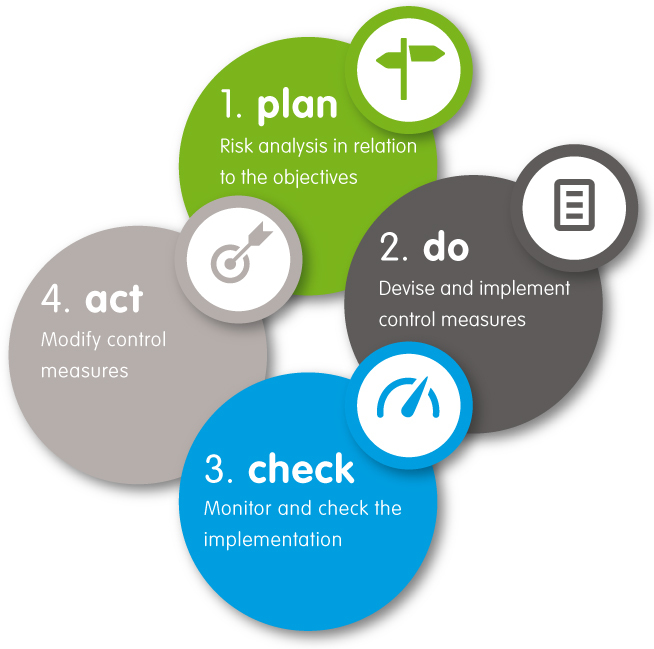 Risk management is intended to ensure that risks are identified and assessed promptly. The assessment may also allow for possible positive consequences of risks. Indeed, they could form a good reason not to avoid or reduce the risk in question, and that means making a careful choice. Risk management must also ensure that timely measures are taken that can affect the chance of risks or their consequences occurring in a desired manner. Wherever possible, they should reduce the possibility of the risk materialising or ensure that the consequences associated with it are limited and absorbed. It is very important that risks that impede the realisation of these objectives are discovered in time. The weight attached to a specific risk can best be based on the extent of the likelihood and the consequences of the risk. Matters such as decision making, anticipating the need to prevent or contain unexpected situations, and having reliable and solid information that provides constant and reliable insights are essential in today’s risk management. After all, they can be used as the basis for setting priorities and can give an indication of new and unexpected developments. Step 3. Description of scenarios (black swan events) that are more or less impossible to imagine or predict. Using the objective trees in Sophiq helps throw light on these risk scenarios. Sophiq is a management instrument that explicitly highlights financial, technological and business risks, which makes it easier to control and manage them. Because they are visible, a strong awareness of risk is created – a proactive attitude to risks and a structured approach to reducing them, including relevant control measures in relation to making an inventory of them. This way, Sophiq assists organisations in focusing on areas with an increased level of risk and helps build bridges outside the confines of the organisation in order that risks can be controlled effectively. We refer here to both the reduction of risk and to the deliberate taking of risks in order to create value and make use of opportunities. This is exactly what Sophiq does: giving support when you have to take the right decisions, and managing your risks.